Intelligence Bureau (IB) Recruitment for 1300 Nos. Assistant Central Intelligence Officer (ACIO): Last Date 02-09-2017. - Jobs4NE : Jobs in Assam and North East India. 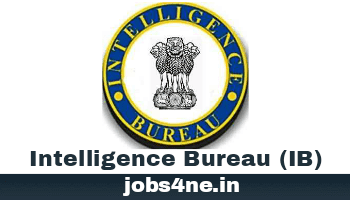 Intelligence Bureau (IB) Recruitment for 1300 Nos. Assistant Central Intelligence Officer (ACIO): Last Date 02-09-2017. Online applications are invited from Indian Nationals for direct recruitment to the post of Assistant Central Intelligence Officer (Grade-II/ Executive) i.e. ACIO-II (Exe) in IB (Ministry of Home Affairs), Government of India. Last Date for Online Application: 02-09-2017. Name of the post: Assistant Central Intelligence Officer (ACIO). Total no. of posts: 1300 Nos. (UR- 1046, OBC- 203, SC- 120, ST- 61). Educational Qualification: Graduation or equivalent from a recognized University with knowledge of computers. Age Limit: Minimum 18 years and 27 Years of age. Upper age relaxation for SC/ ST candidates is 5 years and for OBC candidates is 3 years. Scale of pay: Rs. 9300- 34800/- + GP Rs. 4200/- + allowances. Application Fee: Rs. 100/- for General and OBC male candidates. SC/ ST and female candidates are exempted from payment of examination fee. How to Apply: Candidates can apply online through MHA’s website: www.mha.nic.in.